Drums echo ominously through the jungles, and savage beasts roar at the prospect of the feast to come. 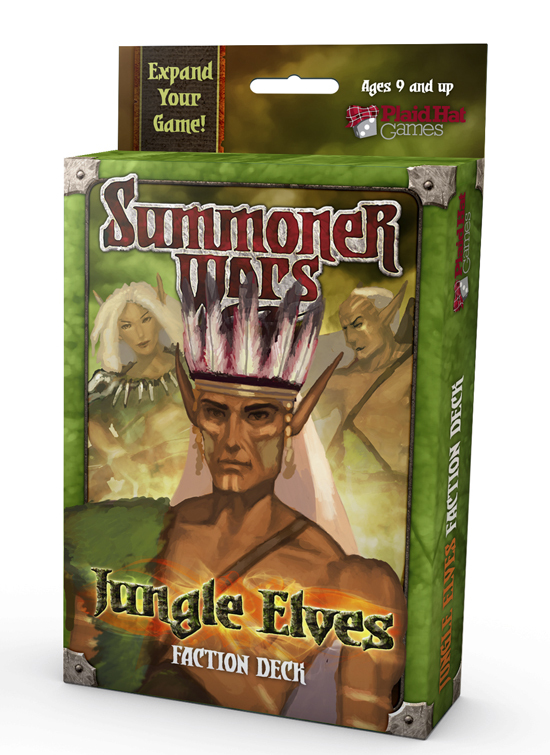 Shadows flit through the trees as the Jungle Elves prepare for war. An age has passed since last they were seen, but soon all of Itharia will recall that the Phoenix Elves do not stand alone for all of elfkind. Trained lions move through the greenery, the strongest bearing warriors upon their backs. Those who might spy this secret muster will find themselves riddled with arrows, courtesy of elite archers. And there are those who say even the trees themselves have come alive to join the coming battle. At the head of this army is Abua Shi, a powerful Summoner whose Summoning Stone was earned through betrayal and lies. He is driven by a secret shame, one that can only be set right through the act of violent revenge.